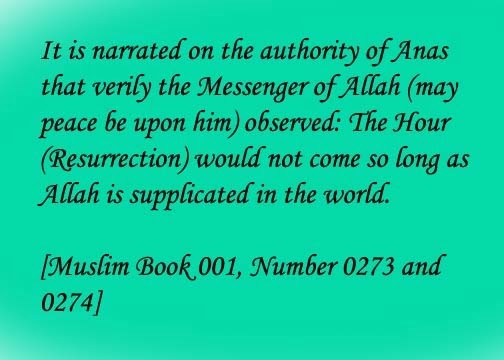 It is narrated on the authority of Anas that verily the Messenger of Allah (may peace be upon him) observed: The Hour (Resurrection) would not come so long as Allah is supplicated in the world. This Hadith does not need much explanation. 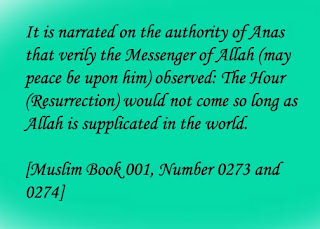 The sole meaning of this Hadith is that the Doomsday will not take place as long as Muslims remain in this world. This also means that no Muslims will see the Last Hour and the destruction of the world when mountains will be like wools and earth will tear apart.